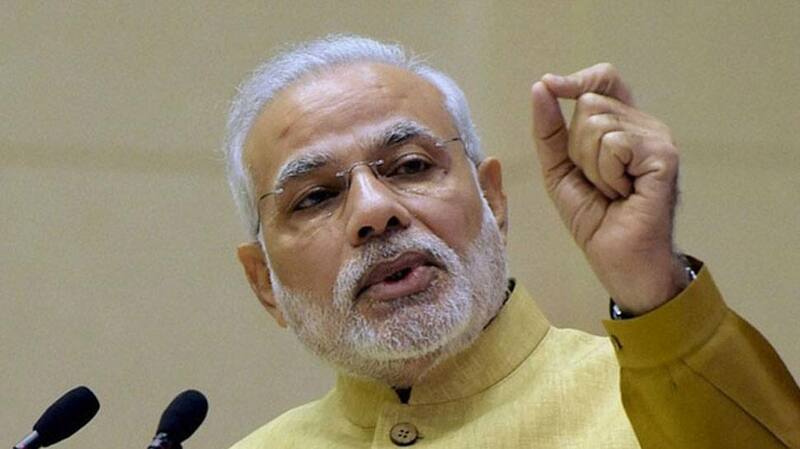 Prime Minister Narendra Modi is address the nation on his radio show, 'Mann Ki Baat'. NEW DELHI: Prime Minister Narendra Modi is addressing the nation on his radio show 'Mann Ki Baat'. This is Prime Minister's first 'Mann Ki Baat' in 2018. He is expected to address the board students. It assumes significance as this edition of Mann ki Baat comes ahead of Union Budget 2018. This year during Pravasi Bharatiya Diwas, we had invited Parliamentarians of Indian origin from across the world. People from several countries participated in the same. I am happy that people of Indian origin are serving other countries and keeping their ties with India intact, says PM Modi in 'Mann Ki Baat'. Lakshmikutty, who was honoured with Padma Shri, is an example of women empowerment, she has made several medicines using herbs, says PM Modi in 'Mann Ki Baat'. Padma awards make us realise as to how many distinguished citizens live among us. In the last three years, we have made it transparent for all. Any person can now nominate anyone, and therefore, you find many lesser-known people getting the honours, says PM Modi in 'Mann Ki Baat'. PM Modi talks about Pradhan Mantri Bhartiya Janaushadhi Yojana, which offers medicine on a subsidised rate to all citizens. He says that the medicines are as per the standard prescribed by the World Health Organisation. There are more than 3000 medicine centres across the country under the scheme, says PM Modi on 'Mann Ki Baat'. I congratulate Bihar Chief Minister Nitish Kumar, every citizen of Bihar for the grand achievement, says PM Modi on 'Mann Ki Baat'. In Bihar, world's longest human chain was formed to make people aware against the menace of dowry and child marriage. Both young and old joined the historical human chain that started from Gandhi Maidan in Patna, says PM Modi on 'Mann Ki Baat'. Kuch aisi baat hai ki hasti mit-ti nahi hamari, says PM Modi on 'Mann Ki Baat'. In Dantewada, where Naxals have wreaked havoc, many tribal women are plying e-rickshaw to sustain their livelihood in the right manner. The district administration has ensured all help to them, says PM Modi on 'Mann Ki Baat'. BSF biker contingent with women personnel was the highlight of Republic Day parade. Even the chief guests for the event were surprised, says PM Modi on 'Mann Ki Baat'. Women power unites the society, says PM Modi on Mann ki Baat. Today we talk about Beti Bachao Beti Padhao, but ages ago, our holy books said that one daughter is worth 10 sons. Prime Minister Narendra Modi recalls the achievements of Kalpana Chawla, saying she set an example for the daughters of India and taught them that nothing is impossible for them. No match is being played.